As with most tournaments across the globe, most of the attention is typically spent at the top of the leaderboard. Moreso, when Nigel Richards is playing. 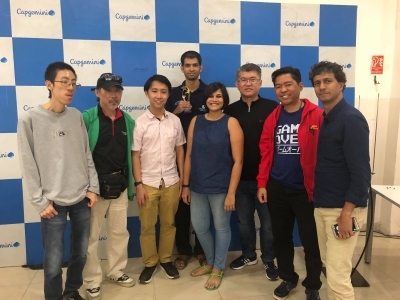 After winning the UK Open, the global Scrabble community turned to the third event on the calendar, the Capgemini International. This event is one that traveling players aspire to attend; the field is typically strong and this regular addition to the calendar continues to be popular. 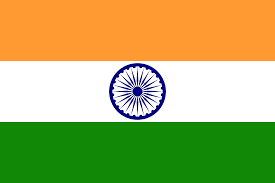 It is described as the “largest corporate sponsored tournament in the world”. But where people may want to concentrate on Nigel, his is but one story in a series of many Scrabble experiences. 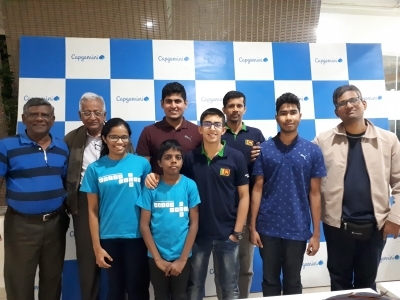 We asked a few players to share their Capgemini experience which we present below. 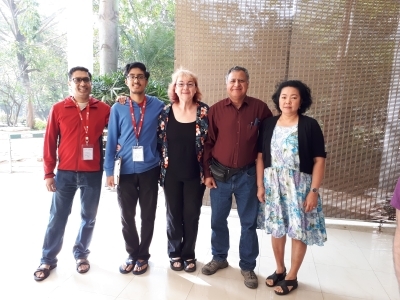 This is a truly international event: nine countries were represented with players from Sri Lanka, Singapore, Thailand, Indonesia, Kuwait, the Netherlands, New Zealand, and Australia joining the home country across four divisions. It attracts players of all ages, from under 10s to those in their 90s. 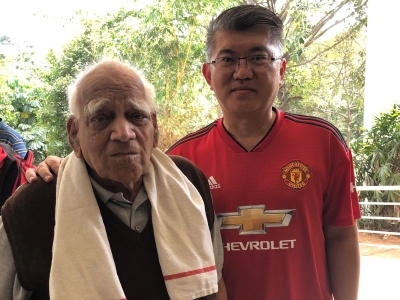 As Michael Tang noted “At 96 years old, Chidambaram from Kerala must be the OLDEST player in the World.” whilst 8 year old Madhav Kamath got to play ZANJERO against his father in tournament play. 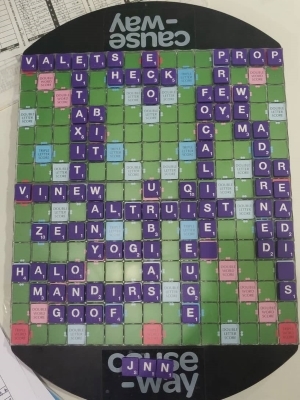 Live streamed for the first time, whilst viewers were treated to thrilling games (including the first time Nigel played Thacha at this event, where his end rack of LOSSTY was enough to secure a 1 point win), other players were enjoying the way the tiles went. Anand Buddhdev played five bonuses in his 573-288 victory over Michael Tang, ending with HOMIEST. For Michael, his play of AMAUTIKS against Charles Carneiro was a highlight. 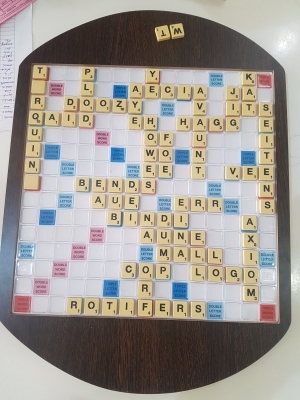 Other plays of note included ILIACUS, PLUMBATE and DENSIFY (the last two played by Singapore’s Yong Jian Rong) and a 185 for TORQUING by Charles one of the higher scoring plays in the event. At the end of 34 games, the results had been determined. 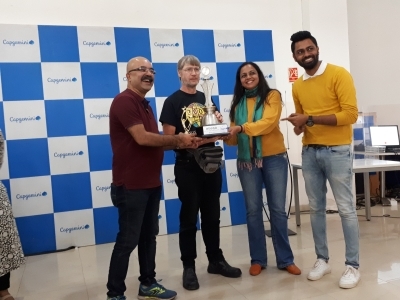 The top division saw Nigel win from Goutham Jayaraman (having played Nigel 10 times at this event alone) and Jakkrit Klaphajone. 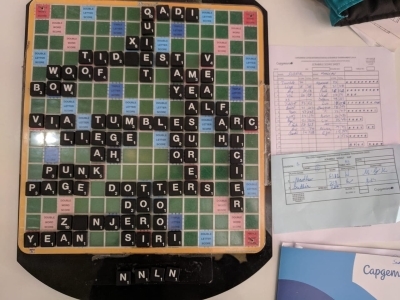 In B, Rahil Parkar won with Manju Sood runner up and Mangala Bhandarkar in third. Abid Hussain was victorious in C Division. 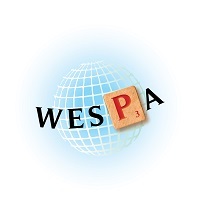 India, and specifically Goa, will be hosting the biggest event of the Scrabble year later in 2019 when the festival of Scrabble that is the WESPA Championship takes place. 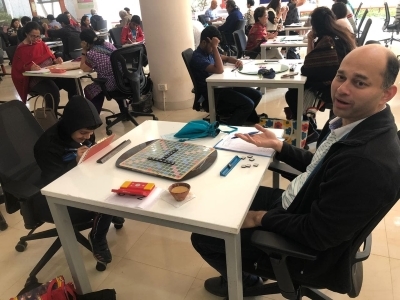 The eyes of the Scrabble world will continue to return to this great part of the world and, if the experiences from this event are any guide, October will be one enjoyable time indeed.